I was always raised to understand Fart was a naughty word - a profanity. 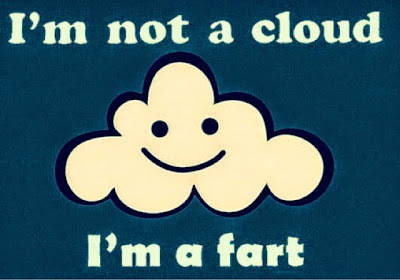 It's considered a naughty word in the UK and as far as I'm concerned, it remains a swear word and something I'd rather my children didn't say - in our house, fart is a naughty word. Infact Wikipedia recognises it as vulgar. By the early twentieth century, the word "fart" had come to be considered rather vulgar in most English-speaking cultures. While not one of George Carlin's original seven dirty words, he noted in a later routine that the word fart, ought to be added to "the list" of words that were not acceptable. So when I heard one of my son's five year old friends saying fart, I politely advised that we don't say it and to try and think of another word for it. However it soon materialised that quite a large chunk of my 5 year old's friends say fart ... in school, in front of their teachers and peers and in front of their parents - they simply don't know it's a naughty word! Since when did such a vulgar term become acceptable? What's changed since my upbringing in the 80's that has seen this naughty word become acceptable in the UK because I'm still shocked to the core when I hear 5 year olds and younger saying Fart as if it's completely normal? And then there are children's books, TV shows and movies using the term fart - infact we were watching Garfield 2 this week which is rated U so the last thing you'd expect is naughty language but no! Garfield himself says "farting"
It seems fart is acceptable in American based children's books, ads, films and TV shows and is creeping over to the UK as an ok word to say!?! Am I the only parent that still sees this as a naughty word? What alternative words do you use? I do hate the word fart and do prefer Sienna not to say it but I don't tell her it's a naughty word or class it as a swear word. I think because there are much worse words now a days that people use and call people, this one seems kind of 'soft' so people aren't too worried about it! We say fluff in our house. At the moment we are having conversations about words that are swear words and what are "words that a 5 year old shouldn't be using" iykwim! I think fart falls into the latter category, not quite a swear word but one that we don't particularly want to heat but may be heard by others or on TV. I'm not a big fan of hearing small children call it a far but it doesn't bother me tthat much. I certainly don't class it as a swear word. Love puff is a word that it be heard jokingly referring to a release of air from a different place altogether...lol. I prefer trump although my daughter uses pump which I'm also not keen on purely cos it is one of those words I just irrationally don't like! This is an argument I have with my husband, I don't think fart is a swear word and he does, we mostly say trump but I wouldn't tell my kids off for saying fart, I think it's because there are much worse swear words than fart and it does pop up on a lot of kids tv shows so it's a tricky one. I had no idea some people were offended by the word fart! I was brought up with it being the term commonly used to decribe passing wind. I think the majority of people find it acceptable. Personally I cringe when I hear people say trump, pop off, pump, pop, puff, fluff etc. To me it just sounds so twee! Obviously this is just my opinion and not meant to offend anyone. As far as British culture is concerned, Fart is a big no no - certainly shouldn't be ok with it being so widely broadcast to our small people! I'm currently fuming at the Hohn Admans Gross Magic kit advertises on the TV with the word Fart actually mentioned! It's on one of the Disney channels - sooo not ok on a whole level! Fart is a nasty term, wish more parents would stand up to it! Perhaps it's just us English mums that see it as a swear word! Ban the fart!